You’re consistently grinding it out in the gym, seeing progress week after week, and it stalls. Suddenly, you can’t seem to run any faster, or lift any heavier. Maybe you’re even lifting less than the week before. What’s going on? You’ve hit a workout plateau. Oh no, the dreaded workout plateau! Now what? In this post, we’ll discuss why workout plateaus happen and what you can do to get back on track. What is a Workout Plateau and Why Does it Happen? Workout plateaus are common, and the longer you train, the more likely you are to experience them. So don’t freak out! Plateaus occur when your body adapts to the routine you’ve established, whether you’re trying to build muscle, lose weight, or master a new skill. 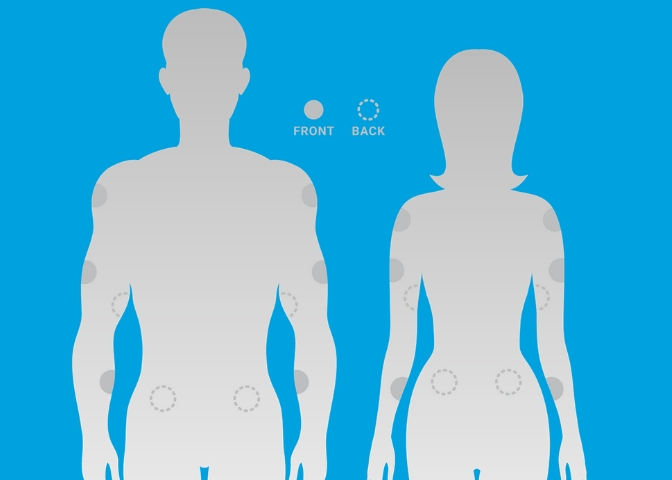 Our bodies are designed to adapt to stress, and that’s a good thing! Nonetheless, it’s frustrating when you find yourself stuck in a workout plateau. It can totally kill your momentum. The key to breaking through plateaus is to not only expect them, but to learn how to stay motivated and keep pushing until you’re on the other side of it. The worst thing you can do is give up! What are the Best Ways to Break a Workout Plateau? The first thing to do when you think you’ve hit a plateau in your training is to take an honest accounting of your workouts. Have you really been pushing yourself? Or have you slipped into a comfortable routine of lifting the same weight or running the same distance? If you’ve determined that you are in a true workout plateau, don’t just keep spinning your wheels. Take a deep breath, recognize that it’s temporary, and make one of these adjustments to break out of your fitness slump. Switch up your workout: If you’ve plateaued because your body has grown accustomed to the stress you’re putting on it, a small change should kick start your progress. Work the same muscles, but differently: If you’ve stalled out on your barbell bench press, switch to dumbells. If you’re working on your back squat, switch to front squats. If you’ve been working on a one-rep max, spend a day doing higher volume. Focus on a new skill: If you just can’t get that 10th pullup, work on pushups, or dips, or even planks. Taking a break from the exercise that’s giving you trouble and winning at something can give you the boost you need to come back to it refreshed and with a positive attitude. Micro load: Increase the weight you lift by a pound (or even a half-pound) at a time. Progress is progress, however small! Add a rep: If you usually do 3 sets of 8 reps, do 3 sets of 9 reps. Again, progress is progress. Celebrate every win! Intensify: If you’re struggling to break your 5k time, dedicate one day per week to just doing short sprints. Take a break: It may sound counterintuitive, but sometimes the way over a plateau is with less exercise, not more. Your body needs rest to recover and rebuild your muscles after working out. Take a week off. Many elite athletes plan 4-7 days of recovery (no cardio, no nothing!) every 6-8 weeks. When you come back to the gym you’ll feel refreshed and ready to go! Adjust your diet: Sometimes the key to getting over a workout plateau lies in the kitchen rather than the gym. Try changing up your diet. Are you eating enough calories? Are you getting enough protein? You might benefit from adding protein powder or supplemental vitamins to your routine, such as THRIVEFIT. THRIVEFIT is an ultra premium fitness performance line designed to help you crush your workouts, build lean muscle, and recover from your workouts faster. Be sure to track your food and your exercise so you can see what’s working (and what isn’t)! Get more sleep: Sleep is crucial to your well-being, and most people simply don’t get enough of it. Not getting enough sleep not only takes away from your recovery time, it increases stress levels and saps your energy, making it harder to reach your potential at the gym (or sometimes to even make it there). Aim for 7-9 hours of shut-eye per night. Adjust your goals: Take a step back and look at your goals. Are they unrealistic? It’s certainly possible. When you first start working out, you see a lot of gains quickly. But that pace can’t continue indefinitely. Say you’ve been increasing our split-jerk by 5 pounds per week. At some point, that progress has to slow down — or else we would all be lifting 1,000 pounds over our heads! There are limits to what your body can do. Respect them. Above all else, don’t beat yourself up. Workout plateaus are not only normal, they’re to be expected. Just keep pushing, and celebrate every bit of progress — you’ll get through it! ‘Tis the season for holiday travel! 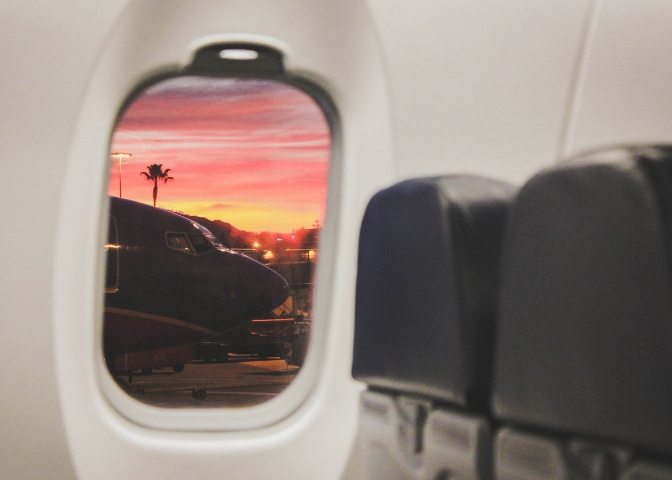 Whether you’re visiting family across the country or vacationing with friends abroad, if you’re crossing multiple time zones, you’re likely to deal with an unwanted companion: jet lag. It’s hard to enjoy traveling when you’re walking around in a fog, struggling to keep your eyes open! Fortunately, there’s a simple, natural way to fight jet lag so you can feel like yourself faster and get right to the fun stuff: Exercise. What is jet lag and why does it happen? Jet lag occurs when there’s an interruption to your biological clock (also known as your circadian rhythm). This happens when you travel between time zones quickly — and the more time zones you cross, the more severe your jet lag can be (and the longer it can take to recover). Your circadian rhythm originates in the hypothalamus, which is the part of the brain that regulates sleep, appetite, temperature, and other processes. You may be tempted to head straight for the nearest bed, but resist the urge — especially if you’ve arrived during the daytime hours. Don’t sleep it off… work it out! How does exercise help fight jet lag? Physical activity gives you an energy boost, which will help combat the sluggishness you feel with jet lag. Exercising outdoors is even better — daylight sends your body the signal that it’s time to be awake and active. Working out at the same time you normally would at home helps your body get back on its regular schedule and adjust to the time change more quickly. Don’t just take our word for it — it’s been long proven. 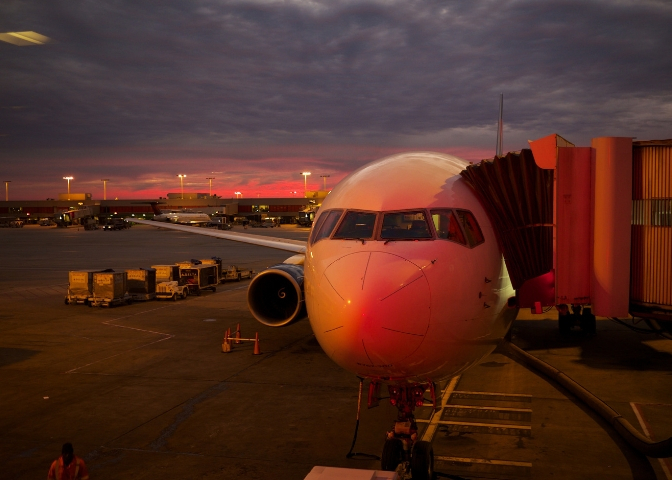 A study by the University of Toronto in 1987 showed that exercise helps fight jet lag. In the study, researchers put a group of hamsters through an 8-hour time change, then made half of them run on an exercise wheel while the other half slept. On average, the hamsters who ran adjusted to the new time zone in 1.5 days. The sleepers took 8.5 days! So plan on a 30-minute, light-to-moderate workout — such as a brisk walk, yoga, or simple body weight exercises — shortly after you arrive. The holidays are the perfect time to step back and celebrate the year’s accomplishments. But don’t let your vacation undo all the hard work you’ve put in at the gym. Besides, the longer you go without working out, the harder it will be to get back into your exercise routine when you get home. Pack your workout clothes. This will help you create the right mindset from the get-go. Don’t be deterred if you can’t maintain your normal exercise routine. You don’t need weight machines or special equipment to work out! Go for a hike or a bike ride, go skiing — get outside and enjoy your surroundings! Treat yourself, but don’t go crazy. Any vacation is likely to include some culinary indulgences, and by all means, enjoy! But try to balance out those cocktails and desserts with plenty of fruits, vegetables, and water. Keep up your THRIVE morning routine. Meal planning goes out the window when you’re away from home, and healthy eating habits can be a challenge to keep up. The THRIVE Premium Lifestyle Capsules, Ultra Micronized Shake Mix, and Lifestyle DFT deliver the vitamins, minerals, antioxidants, and amino acids you need to feel your best throughout your trip! 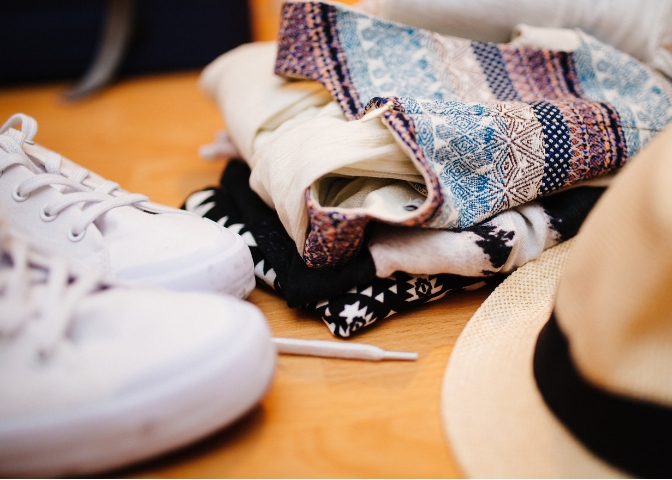 Now go and enjoy your vacation — you’ve earned it. Happy holidays and safe travels! The new year is fast approaching, and like many people, you may be starting to think about your new year’s resolutions. 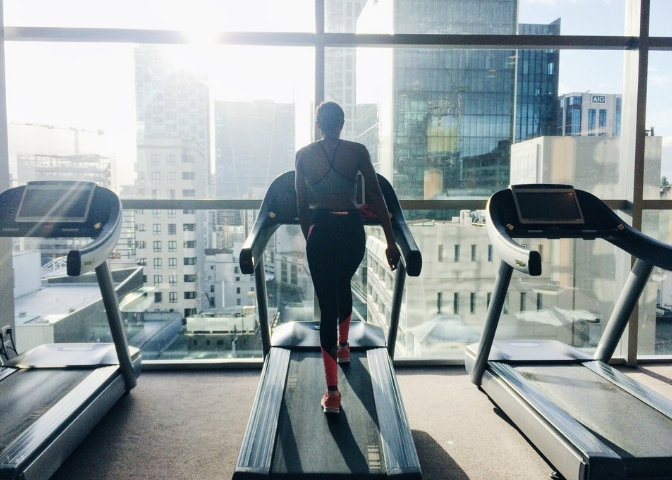 If you’re new to the gym, it’s a good idea to get familiar with some common workout terms so you can hit the ground (or the treadmill) running. 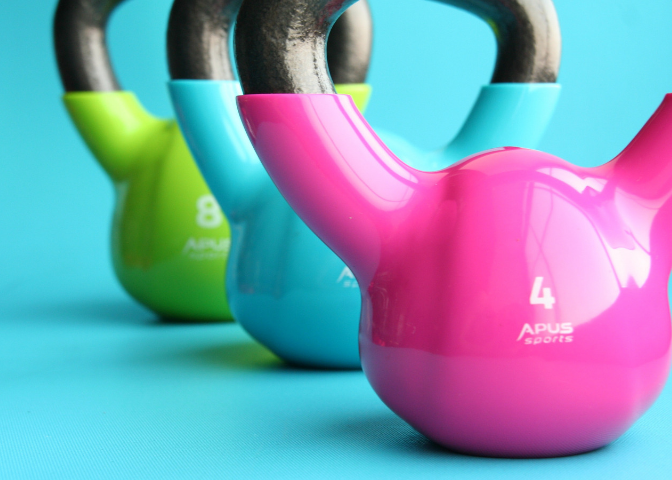 To that end, we’ve compiled a list of what we think are the most useful fitness terms to know. Aerobic exercise: The term “aerobic” means your body is using oxygen for energy, helping you keep moving for an extended period. Some examples of aerobic exercise are running, swimming, or biking (also called cardiovascular exercise, or “cardio”). Anaerobic exercise: High-intensity, short-interval workouts, such as sprinting or lifting heavy weights, when your muscles break down sugar (or glucose) to use for energy because they can’t get enough oxygen. BMI: BMI stands for body mass index, a way to measure whether someone is below, above, or at the ideal weight range for their age and height (a BMI of 18.5 to 25 is considered ideal). BMI is widely used but has been criticized for not differentiating between body fat and muscle. Calisthenics: Exercises that build strength using just your own body weight, such as push-ups, pull-ups, lunges, and tricep dips (also called body weight workouts). Circuit training: Moving quickly through different exercises with minimal rest in between, in a cyclical process. For example, a circuit might be 10 pull-ups, 10 push-ups, 10 lunges, and 10 tricep dips. Once you finish the tricep dips, you would start the cycle again with 10 pull-ups. Compound exercise: The word “compound” simply means to combine. Compound exercises work multiple muscles (these are also called compound lifts). For example, a bench press works the pectoral muscles as well as shoulders and triceps. Cool down: At the end of your workout, you need to cool down to lower your heart rate and bring your body back to a resting state. This is often accomplished with light movements and passive stretching. Cross training: Mixing different types of workouts to improve your overall performance. For instance, if you’re a runner, you might also do some weightlifting and yoga to increase strength and flexibility to reduce your risk of injury. DOMS: DOMS is an acronym for delayed-onset muscle soreness, which you feel 24 to 72 hours after an intense workout. The pain is caused by chemicals that are released when your muscles rebuild themselves. Electrolytes: Minerals such as sodium, calcium, potassium, magnesium, and chloride that conduct electric signals in the body which help your muscles function properly. It’s easy to lose electrolytes through dehydration during a lengthy workout, which is why you’ll find them in some sports drinks. Endorphins: The chemicals your body releases in response to intense exercise, believed to reduce stress, improve mood, and even relieve pain. If you’ve heard people talk about a “runner’s high,” they’re talking about endorphins. Endurance training: Training that serves to increase your endurance or stamina, often done in preparation for an event, such as a marathon. There are several ways to do it: for example, exercising at low intensity for longer and longer periods of time leading up to the event. Failure: Training to failure is when you repeat a weightlifting exercise until your body cannot complete another repetition. This practice, which is common among seasoned weightlifters, promotes muscle growth by increasing blood to the targeted muscle area. Free weights: Weights that are not attached to a machine (such as barbells and dumbbells). High-impact exercise: An exercise during which both feet leave the floor, such as running or jumping, causing the weight of the body to land on the joints when you hit the ground. HIIT: HIIT, or high-intensity interval training, consists of short, intense bursts of exercise, followed by short recovery periods. These workouts initiate excess post-exercise oxygen consumption (also called the “afterburn effect”), which helps you keep burning calories even after you’re finished working out. Isometric exercise: When the targeted muscle is in a contracted state, but there is no movement. For example: wall sits, planks, and holding weight in a fixed position. Low-impact exercise: When at least one foot is always on the ground, so the joints don’t bear the full bodyweight. Negative reps: To do “negative” repetitions is to perform an exercise slowly in reverse, starting halfway through the movement. For example, to do negative pull-ups, you would start with your chin over the bar and lower yourself slowly. Plyometrics: Quick, explosive movements — like box jumps, broad jumps, and burpees — that work to increase power, build muscle efficiently, and burn calories. Recovery: This is the time you spend not working out — when your muscles rebuild themselves bigger and stronger than they were before. It’s your rest day. “Active” recovery means doing yoga or jogging on your rest day to increase circulation and reduce muscle soreness. Reps: Short for repetitions, which is a single complete movement. Doing 12 reps mean doing the movement 12 times. Sets: A group of consecutive reps constitutes a set. For example, one set might be 12 pull-ups. If you do three sets, you’ll do 36 pull-ups. Spot/spotter: When lifting weights, it’s sometimes helpful to have a spotter — someone who can help you if you struggle with the weight. For example, while doing a bench press, the person spotting you stands at your head, ready to help you place the barbell back on the rack if you can’t push it all the way up. 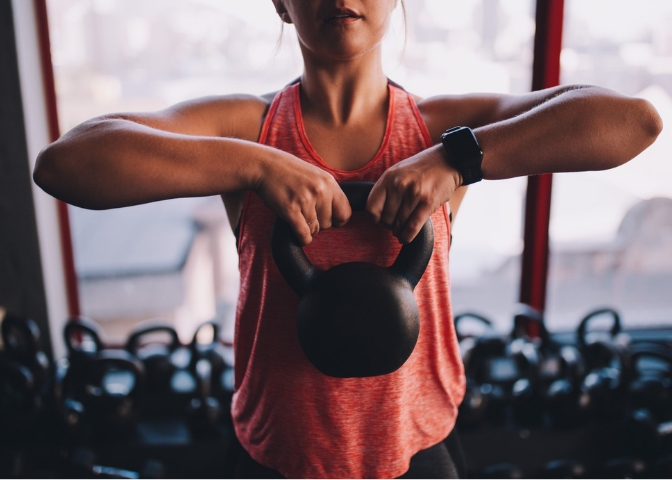 Strength training: This term refers to using resistance to work your muscles, whether it’s barbells, kettlebells, resistance bands, or your own body weight. Strength training increases muscle mass and improves metabolism. Super set: Alternating between two different exercises with little or no rest in between. Supersets can work the same muscle groups to fatigue those muscles faster, or different muscle groups to get in a more complete workout in a short amount of time. Tabata: Tabata (or Tabata protocol) is a type of high-intensity interval training. These workouts consist of 20 seconds of full effort followed by 10 seconds of rest, completed 8 times for 4 minutes total. It can be done with almost any movement, whether it’s rowing, lifting weights, or doing body weight exercises. Target heart rate: This refers to the desired number of heart beats per minute during exercise. The higher your heart rate, the more intense the workout. 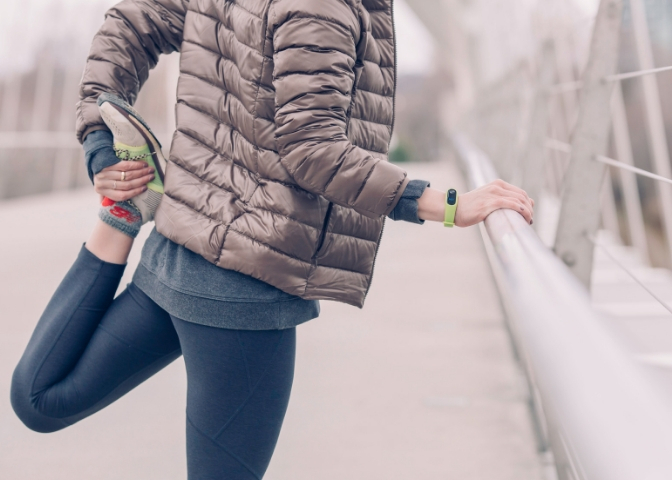 Warm up: Performing a series of movements and stretches prior to a workout to increase heart rate and muscle temperature to prepare the body and reduce risk of injury. Work in: When people share gym equipment to make the best use of time. One person performs a set while the other rests. Now that you know all the important workout terms, you can walk into any gym with confidence! 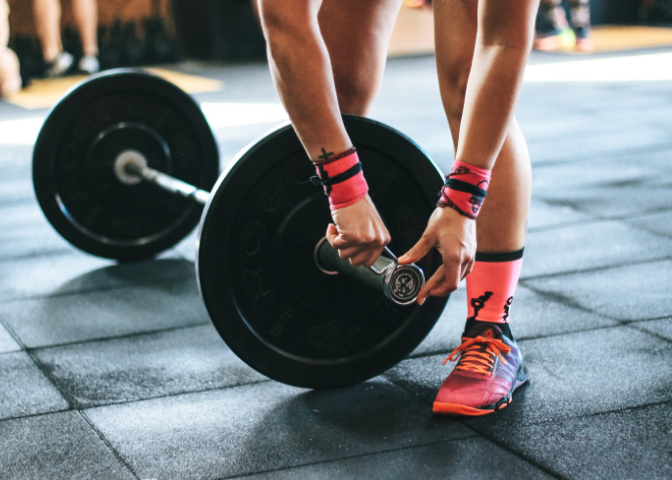 To make sure you optimize your workouts with proper fuel, add THRIVEFIT supplements to your diet to help you build more lean muscle, increase your stamina, and recover faster! Where is the best place to put DFT? If you’re asking this question, you understand that the THRIVE 3-Step Process is designed to make you look and feel your best. You’ve completed Step 1, Step 2, and are just about to apply the lifestyle derma-fusion technology (DFT patch) to clean, dry skin — Step 3. But where’s the best place to put your DFT so that you receive optimal and sustained benefits all day long? You asked the question, now we have the answers. DFT is designed for increased bioavailability. Your body absorbs more of DFT’s premium ingredients, and you enjoy the benefits over an extended period of time. Q: Where is the best place to put my THRIVE DFT? A: On clean and dry skin, preferably on lean areas such as biceps (inside or outside), shoulder, inside forearms or top parts of buttocks. Q: Should I place my DFT in the same place every single day? A: Try to rotate application areas every day or every other day. For example, Monday shoulders, Tuesday forearms. Q: Is there anywhere I shouldn’t place my DFT? A: Areas of your body that aren’t lean. For example, your buttocks and upper thigh. Q: How long do I wear my THRIVE DFT? A: Leave your THRIVE Lifestyle DFT in place for up to 24 hours. Replace with a new one daily. The tried and true answer is that just like the type of DFT you choose, where you put it every morning is a matter of preference. As long as you place it on a dry, clean and lean area of your skin, combine it with a balanced diet, proper water intake and regular exercise, you’re good to go! Where you put your DFT every morning is a matter of personal preference. For more information on the types of DFTs and ingredients in them, visit the THRIVE Experience page here. What is Protein Powder and What Does it Do? Protein powder is having a moment. 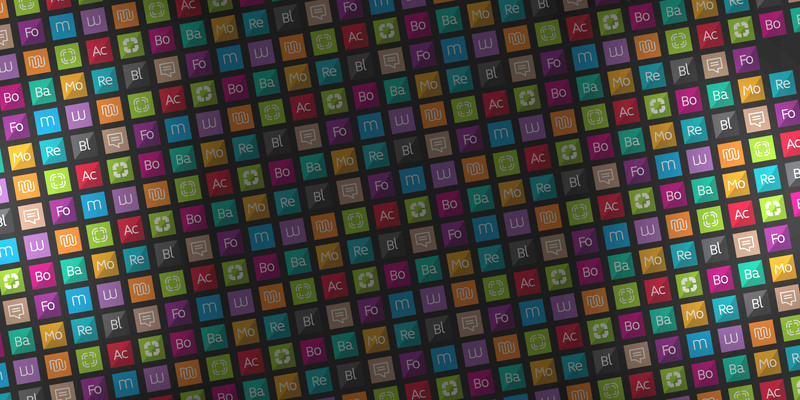 It’s been around for decades, but it has never been as ubiquitous as it is today. It’s at the gym, at the health food store… you can even buy protein powder at grocery and big box stores now! So what’s the deal? What is protein powder, and is it necessary? How do you know which one to choose? This post explains the different types of protein powder so you can decide which one is right for you. What is Protein Powder and Why is it Important? You probably already know that protein helps you repair and build lean muscle mass, which is why the Paleo Diet and other high-protein protocols are so popular among athletes. Protein molecules are made up of amino acids. When you consume dietary protein, your body rearranges the amino acids, creating new protein structures that help your muscles rebuild themselves bigger and stronger after a workout. Ingesting protein is also shown to help people lose fat, partly because it is filling but contains relatively few calories. It also helps you maintain muscle mass, which is necessary for burning fat. But protein does a lot more than just build muscles. It supplies your body with energy and helps repair and regulate the cells in every part of your body! Our bodies use 22 different types of amino acids; 9 of them are considered “essential” and can only be obtained through dietary sources. Whether you’re working to increase strength, lose fat, or just improve your general health, a convenient way to increase your protein intake is to consume protein powder. Protein powder is a concentrated source of protein that is derived from animal or plant foods that you can either drink as a shake or add to the foods you already eat (think peanut butter or oatmeal — you can even make protein powder pancakes). Whey protein powder is probably the most popular among weightlifters and other athletes. It is a complete protein source, which means it provides all of the 9 essential amino acids your body can’t make on its own. It also contains calcium, iron, potassium, phosphorus, and magnesium. Whey is rich in branched-chain amino acids (BCAAs), including leucine, which plays a big role in muscle growth and recovery. It is digested quickly, it provides a rapid boost of amino acids helps increase muscle mass. Some studies suggest that whey protein may also reduce inflammation and improve some heart health markers. Whey protein powder comes from dairy, so even though it loses most of its milk sugar during processing, it may not be ideal for people who have difficulty digesting lactose. 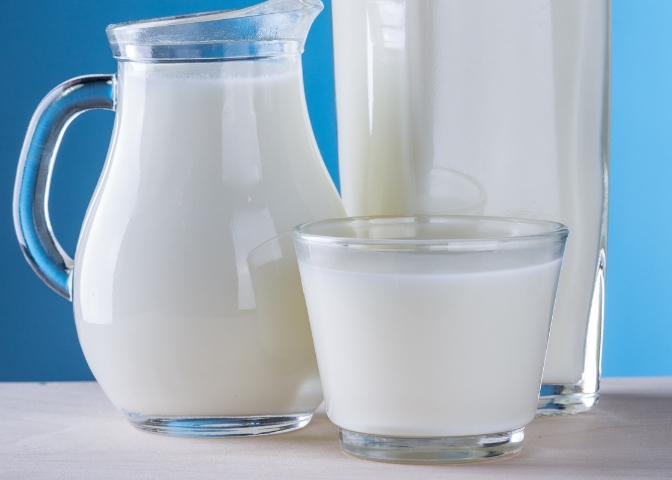 Casein protein also comes from milk, but is digested more slowly than whey. When casein interacts with stomach acid, it forms a gel that slows down the rate at which your stomach empties. This delays the absorption of amino acids into your bloodstream, resulting in a more steady exposure of your muscles to the amino acids. Casein is also a complete protein source, and the delayed absorption means the protein-building benefits can last up to 7 hours. 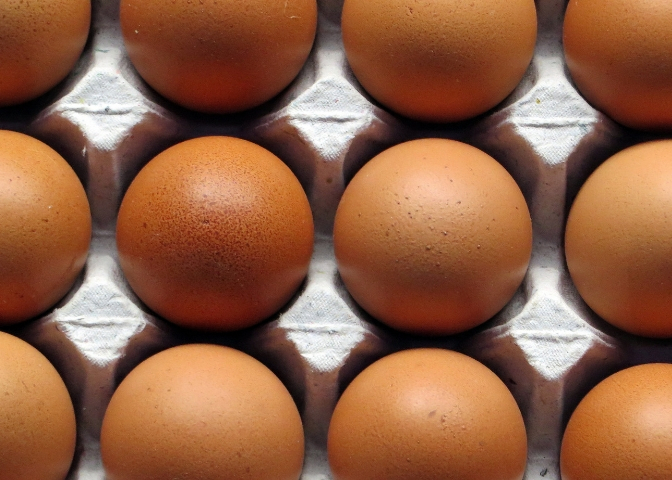 Eggs are one of the best sources of high-quality protein you can eat. Egg protein powders are a complete protein, and are second only to whey in the amount of leucine they provide. Egg protein powder is easily digested and is an excellent choice for people with dairy allergies. But because the powder is usually made from egg whites rather than whole eggs, it may not be as filling as other proteins. Pea protein powder is made from the yellow split pea, which contains all but one of the essential amino acids, and is rich in BCAAs. It’s especially popular among vegans and people with dairy and egg allergies. 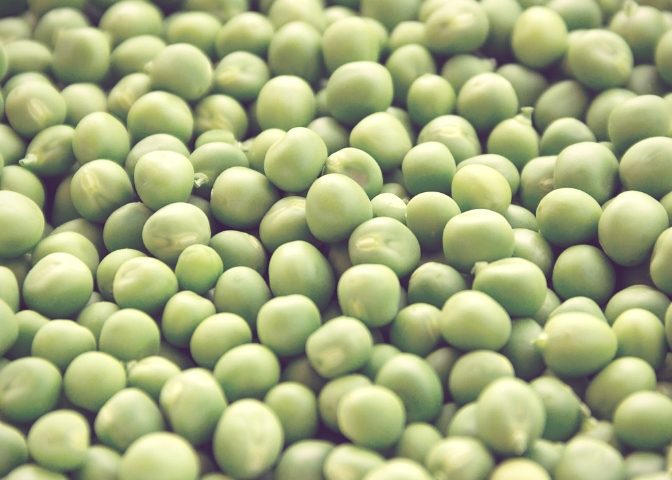 Studies suggest that pea protein may promote fullness and muscle growth just as effectively as animal-based proteins. Soy protein powder is another good, plant-based option for vegans and other people who are dairy-free. Soybeans are legumes that are high in protein while being relatively low in fat. 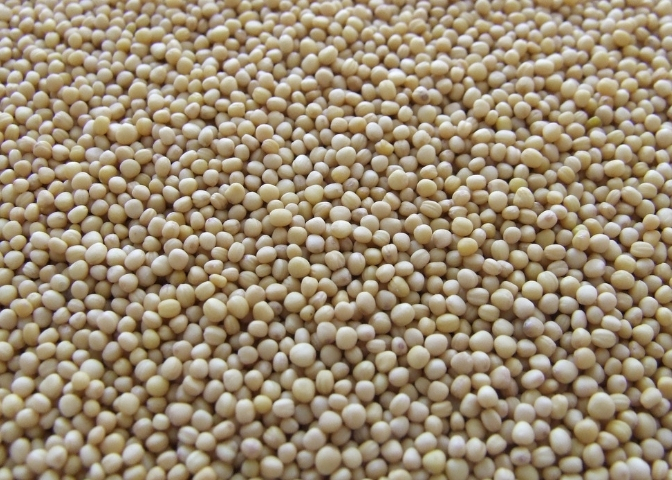 Soy is a complete protein, especially high in arginine, phenylalanine, and tryptophan. It also naturally contains B vitamins, vitamin E, zinc, iron, phosphorus, and potassium. How do I Choose the Best Protein Powder? The first step to choosing the best protein powder is understanding its source and nutrient content, and how much it has been processed. Protein concentrates are the least processed kind of protein powder. 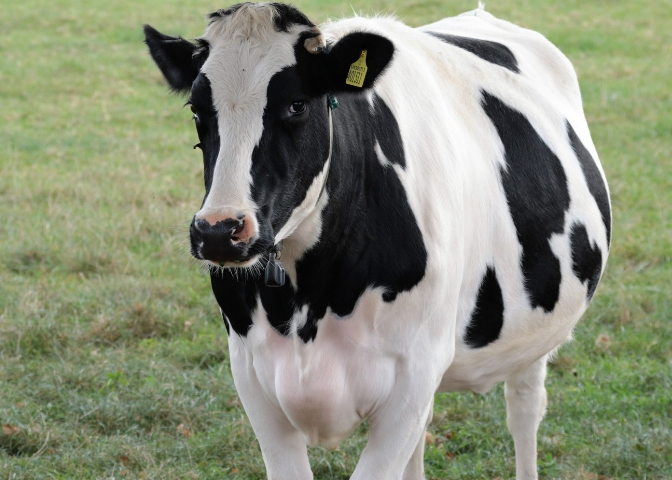 They are produced by extracting protein from the whole food using heat and acid or enzymes, and are usually composed of 60-80% protein and 20-40% fat and carbohydrates. Protein isolates are made by removing more fat and carbs with additional filtering, which further concentrates the protein. Isolates typically contain 90-95% protein and are considered more pure, but are generally more expensive than concentrates because they have gone through more processing. Protein hydrolysates are the most processed form of protein powder, and are produced by further heating, which breaks the bonds between amino acids. This process helps hydrolysates absorb more quickly in your body. Choosing a protein powder is a matter of dietary preference and taste. Experiment with different types and flavors until you find the one that works best for you. 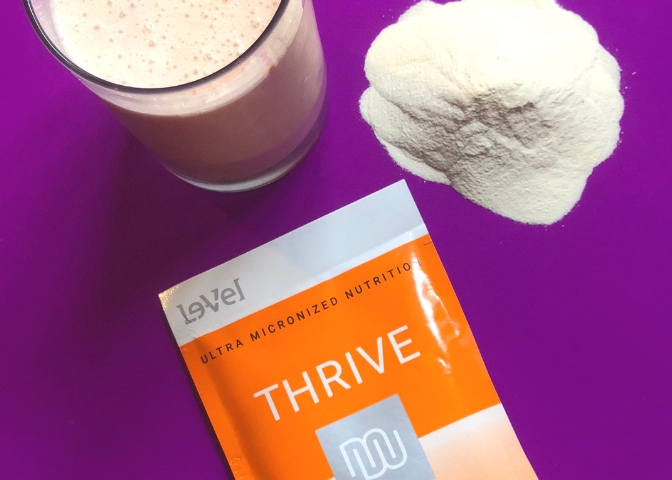 A good place to start is with the THRIVE Lifestyle Mix, a combination of whey, pea, and soy protein that contains our premium blend of vitamins, minerals, antioxidants, enzymes, and probiotics to fill in nutritional gaps and help you feel your best!